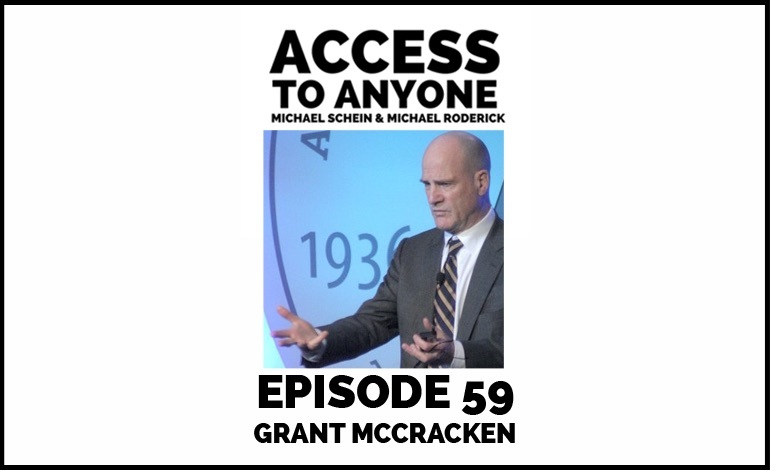 Grant McCracken is a cultural anthropologist who helps businesses tap into the thoughts and behaviors of their customers. He’s worked with Jeep, The Ford Foundation and Nike, just to name a few. In today’s episode, we talk about his concept of culturematics — a tool that allows any entrepreneur, inventor, business person, and artist to inspire innovation, create cutting-edge content, and build stronger relationships. Grant McCracken has a Ph.D. from the University of Chicago. He has been featured on The Oprah Winfrey Show and worked for many organizations including Timberland, New York Historical Society, Diageo, IKEA, Sesame Street, Nike, and the White House. He is a long time student of culture and commerce, and has taught at the University of Cambridge, MIT, and the Harvard Business School. He also started the Institute of Contemporary Culture at the Royal Ontario Museum, where he did the first museum exhibit on youth cultures.